The Pixels Ensemble is a collective of established chamber music players with a shared passion for performing the finest repertoire, from the classical period to the present day. Vastly experienced and versatile, the group appears in a wide range of combinations and line-ups, lending itself to innovative programming and enabling huge variety within individual concerts. 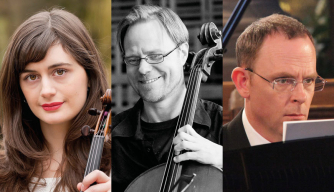 For this concert at Conway Hall, they offer the three ‘Bs’: Bach, Beethoven and Brahms, highlighting the great contribution these German composers made to the classical canon.